Wellington make a substitution with Trent Renata coming on. Wellington make a substitution with Jackson Garden-Bachop coming off. Wellington sub Sheridan Rangihuna comes onto the field. Kemara Hauiti-Parapara departs for Wellington. Ben Nee Nee comes on for North Harbour. Jacob Pierce leaves the field. James Parsons has made 10 good tackles so far this game. A gap opened in the defence and Jackson Garden-Bachop took full advantage. 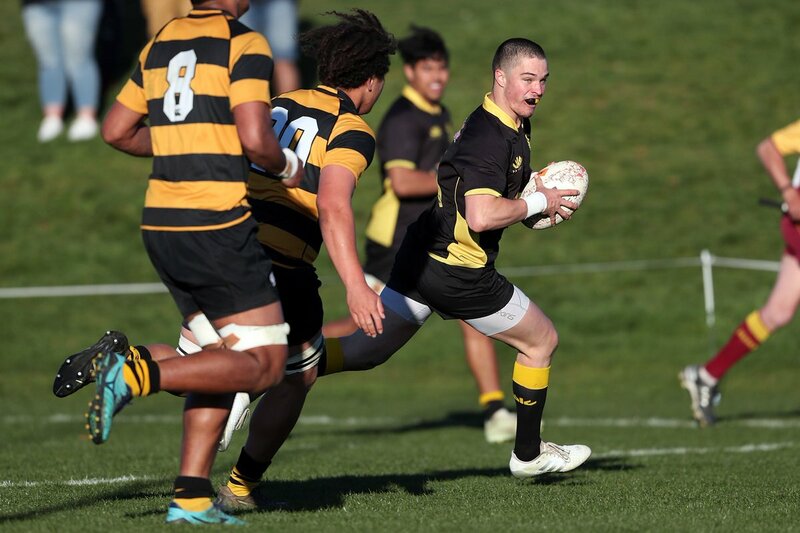 Jackson Garden-Bachop intercepts the pass to race ahead and score the try for Wellington. North Harbour decide to make a substitution, with Lewis Gjaltema getting some game time. North Harbour decide to make a substitution, with Bryn Hall being replaced. Incisive passing by Wellington is finished off by Wes Goosen, as he goes over for the try. The defensive line has been broken as Ben Lam goes through the gap. Wellington make a substitution with Tietie Tuimauga coming on. Wellington make a substitution with Joel Hintz coming off. Hapakuki Moala-Liavaa comes on for North Harbour. Sione Teu leaves the field. Jacob Pierce has made 10 good tackles so far this game. Jackson Garden-Bachop steps up to take the penalty but pulls it wide and to the left. What a run here by Shaun Stevenson as they gets over the gainline!. James Dargaville has made 10 good tackles so far this game. Gerard Cowley-Tuioti has made 10 good tackles so far this game. Wellington decide to make a substitution, with Mateaki Kafatolu getting some game time. Wellington decide to make a substitution, with Teariki Ben-Nicholas being replaced. North Harbour make a substitution with Mike Tamoaieta coming on. North Harbour make a substitution with Sione Mafileo coming off. North Harbour sub Lua Li comes onto the field. Chris Eves departs for North Harbour. Xavier Numia leaves the field. Sione Teu has made 10 good tackles so far this game. Bryn Hall makes the break as the defence re-enacts the parting of the red sea. Spellbinding play by Jackson Garden-Bachop is finished off with a try. Silky skills by Wellington ends with a try for Malo Tuitama. Fabulous play by Wellington has led to Du'Plessis Kirifi being able to wriggle through a gap. Teariki Ben-Nicholas played a key part in that try. A wonderful passing move by Wellington is finished off by Kemara Hauiti-Parapara. Glenn Preston has made 10 good tackles so far this game. A gap opened in the defence and Jacob Pierce took full advantage. Jackson Garden-Bachop does the business as his penalty goal attempt goes over. Murphy Taramai has made 10 good tackles so far this game. The defensive line has been broken as Jackson Garden-Bachop goes through the gap. What a run here by Malo Tuitama as they gets over the gainline!. Wes Goosen makes the break as the defence re-enacts the parting of the red sea. Trouble here as Matt Proctor breaches the defence. 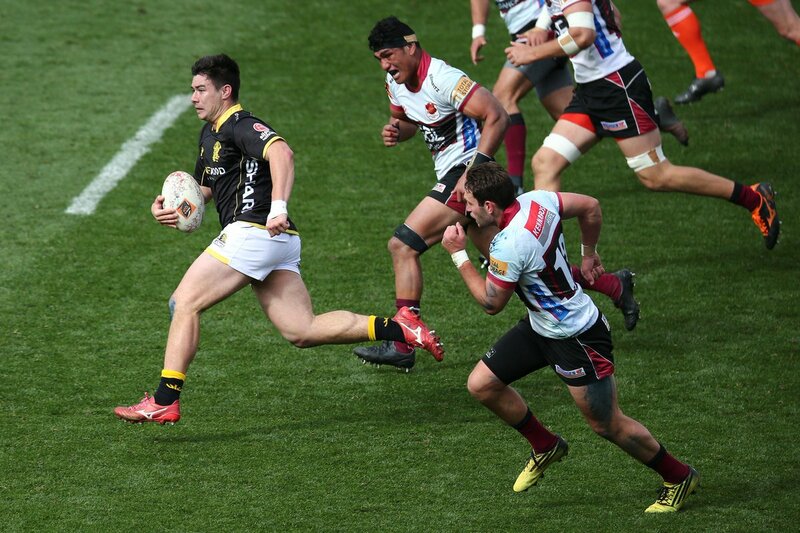 This is dangerous for the defence as Ben Lam bursts through to advance the Wellington attack. Great hands by Wellington leads to a try for Asafo Aumua. A gap opened in the defence and Ben Lam took full advantage. Jackson Garden-Bachop kicks the penalty. The defensive line has been broken as Du'Plessis Kirifi goes through the gap. 85 Kiwis took part in the weekend's northern hemisphere action. @max_221b Hi Aseem, please email help@rugbypass.com if you are having technical difficulties. @RugbyRene Hi Rene, apologies for that. Can you please try deleting and re-installing the app the ensure you have the latest version? @Prawn0 Hi Shaun, unfortunately our live streaming service is not available in the UK. The Premiership Game of the Week sees Exeter travel to Coventry to face Brad Shields and Wasps.